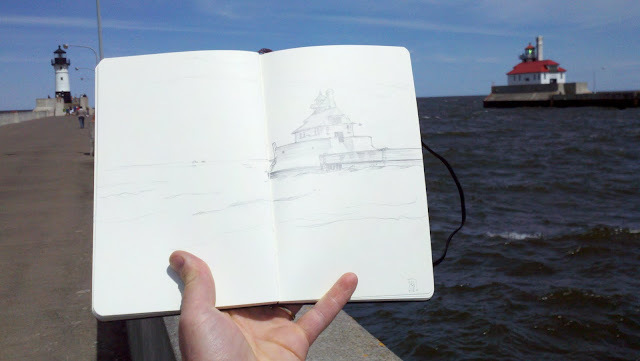 I drew this while saving a spot for the family to see a "tall ship" sail in. 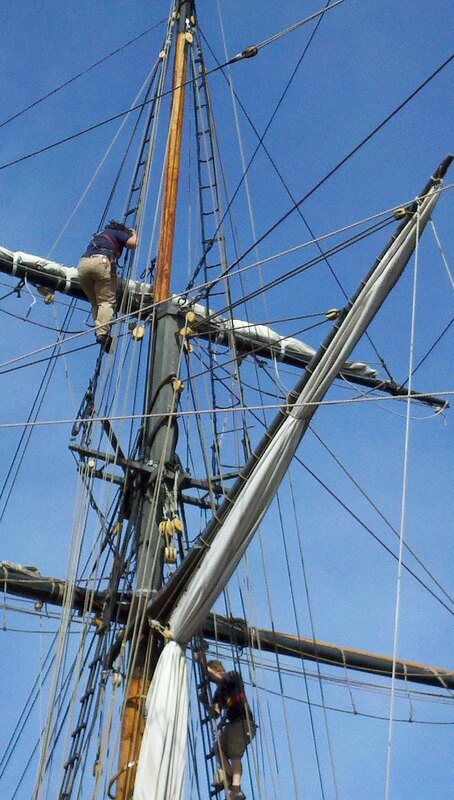 Tall masts, sails, block and tackle, the whole bit. Absolutely lovely.